All the paintings on this web site are original works done by one artist, Ira Thomas. The words too are by the artist. They have been checked by a knowledgeable and reputable priest and nothing has been found in them to contradict Church teaching. They are however, personal reflections by an individual Catholic and do not necessarily represent the views of the Catholic Church. Neither the paintings, nor any prints are for sale. 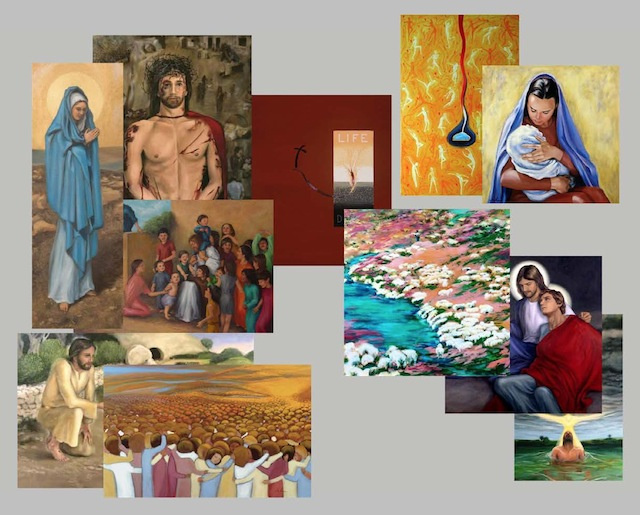 This web site is simply a vehicle for one Catholic artist to share God’s gifts with fellow Catholics and non-Catholics. Welcome to Catholic World Art. This site is best viewed with Google Chrome or Mozilla Firefox internet browsers.